Nothing hammers home how quickly your little ones are growing up as going shopping for their first shoes. It’s not something that we’d been putting off, but we didn’t want to buy anything until Gracie really needed them. On an unreasonably hot day in June we went to Clarks. We wanted to get her a pair of pram shoes, or cruisers. These are soft soled shoes that allow a babies feet to safely develop while they are not walking unaided. 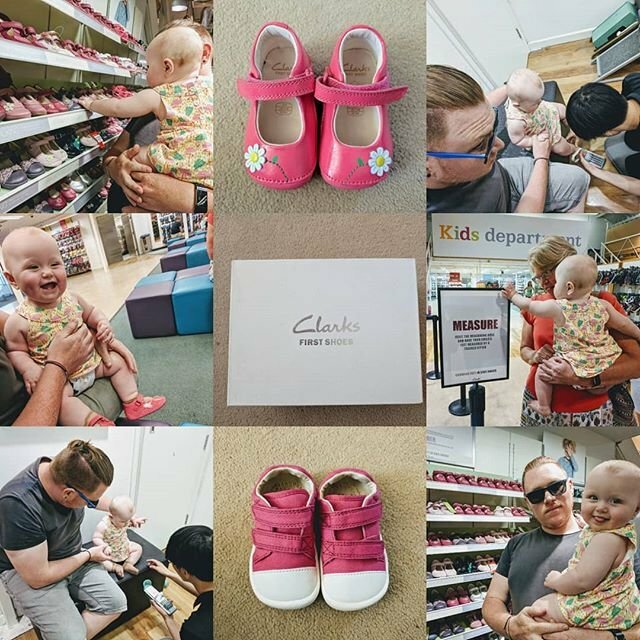 We are extremely lucky to live near a Clarks shoes outlet store, so the whole family made a day of getting shoes. We got her feet professionally measured before spending some time browsing the shoes. Eventually we settled on two pairs, a more traditional pair, and a pair of trainers that sort of mimic Converses. Haven’t posted in a while. Things have been pretty busy, Mummy was on half term and we decided to spend time with each other, and our family. This invold us jumping on a train back to Kent. Since I’ve last posted Gracie has had two teeth cut through, and it looks like 3 & 4 are rapidly approaching. It’s been nothing short of exhausting, and I just desperately hope we’ll get a reprieve once these have cut through. Here’s hoping we return to a semu-regular posting schedule. Perhaps the most important thing we achieved was moving over to reusable wipes. We’d bought these before Gracie was even born but had been hesitant to pull the trigger on using them. We were idiots for waiting so long, they are simple to use, and clean up souch better than disposable wipes. 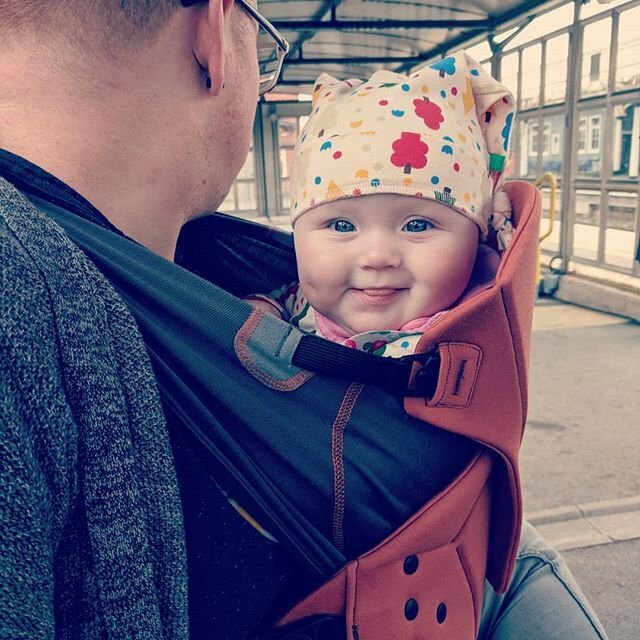 Following the second round of Rotavirus immunisations we have kept Gracie in her cloth nappies and just adjusted our clean process slightly rather than use disposable nappies. Following the first round of vaccinations we used disposables and the quantity of waste was just ridiculous. We’ve started using a local butcher and green grocer for food, hoping to reduce the carbon footprint of our shopping and cut down of waste food. The butcher was great value for money, the green grocers less so. We are going through the last of our stock from before we decided to go green. Things like washing up liquid and detergent can take a little while to get through. We are looking at buying some reusable sandwich and food bags next month when Mummy returns to work. 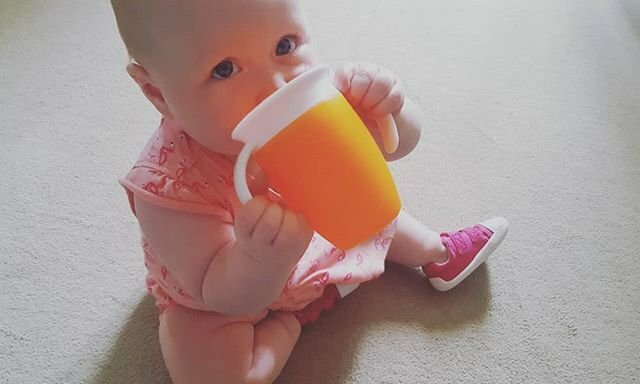 We are slowly increasing the amount of organic clothing in Gracie’s wardrobe, but as she has been growing quite rapidly we’ve had to buy a few things out of convenience. Right that’s everything I can think of. We’ll see you all in February.